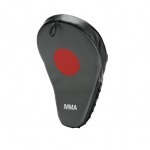 Speed bag platform can be easily adjusted to ideal height for any athlete. 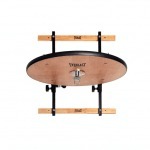 Platform comes complete with swivel, two brace boards, assembly hardware and full rubber edge binding for safety. Complete and ready for assembly. Compatible with double-end bags and double-end anchor (sold separately). Measures 24″ in diameter, height can be adjusted up to 8″ in 1″ increments. 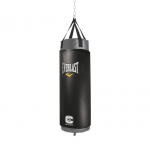 Take your boxing and mma to whole new levels with the Powershot Heavy Bag from Everlast. 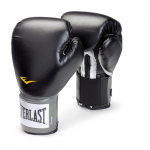 Forever the innovators Everlast have strategically placed multiple Evergel cushioned target pads around the Powershot to focus on precise head and body shots and absorb high impacts from your punches to minimise risk of injury. 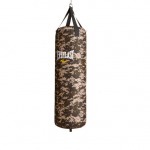 The normal shell of the bag is wrapped in the unique Nevatear formula for long lasting use with a layered matrix of synthetic fibres designed to with stand regular pummelings from heavy hitters. The Powershot bag is supplied pre-filled so it only needs hanging and you’re ready to go. 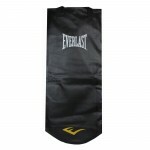 Premium synthetic polycanvas along with superior heavy bag construction extends product durability. Double end loop improves functionality. 80 LBS. Premium synthetic leather provides long-lasting durability and functionality. Combination of EverCool mesh design & dense foam padding ensures breathability and maximum protection to withstand the hardest punches. EverDri wicking lining optimizes your comfort and endurance levels during performance. 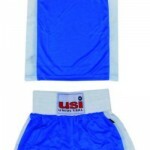 180 inches of polyester/nylon blend material provide breathable comfort and safety while training. EverFresh anti-microbial treatment fights offensive odors and bacterial growth keeping your products safe and smelling fresh. 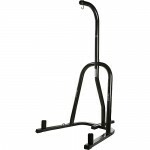 Heavy-duty, powder-coated steel tubing for maximum strength and heavy bag durability. Articulated finger ridges for ease of movement. 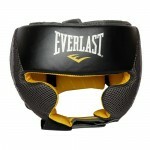 Used for grappling and mitt work. 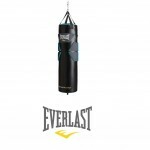 Used for heavy bag workouts and mitt work. Mantis shape and closed cell foam technology combine to provide superior hand safety and comfort. Sold Individually on a hang card. Durable polycanvas wrap filled with closed cell foam technology provides increased cushioning and force dispersion, while resilient design maintains bag integrity. Specially blended filler mix of sanitized synthetic and natural fibers provide resilient shock absorbency. Premium NEVATEAR with reinforced webbing along with superior heavy bag construction increases durability and functionality. Heavy duty nylon straps provide security and safety, while the double end loop provides increased functionality. 100 LBS. Above quoted price is inclusive of shipping. 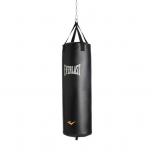 Premium synthetic leather with reinforced webbing along with superior heavy bag construction provides long lasting durability and functionality. Heavy duty nylon straps provide security and safety, while the double end loop provides increased functionality. 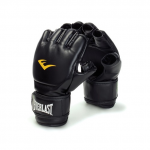 Improved curved anatomical grip and fit. 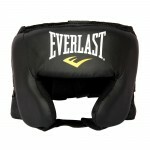 Ideal for sparring, heavy bag workouts, and mitt work. 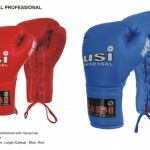 Premium synthetic leather and construction provide long lasting durability. Anti-microbial treatment prevents offensive odors and bacterial growth keeping your products safe and smelling fresh. 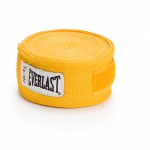 Boxing headgear is imperative for increased training protection. 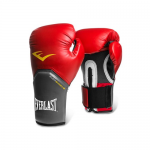 Premium synthetic polycanvas along with superior boxing glove construction provides long lasting durability and functionality. 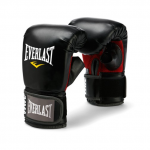 Improved design increases functionality by including a full boxing glove backing. Anti-microbial treatment fights offensive odors and bacterial growth keeping your products safe and smelling fresh. 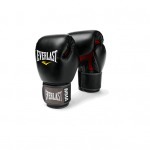 Premium synthetic leather with reinforced webbing along with superior heavy bag construction provides long lasting durability and functionality. 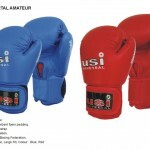 Approved by Indian Boxing Federation. Hand Crafted padding combined with Horse hair. • Full mesh palm with Evercool™ technology ensures breathability and promotes body temperature regulation. • Full wrist wrap strap provides superior wrist support and allows for a more customizable fit. • Premium synthetic leather increases durability and functionality. 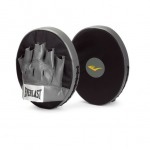 • Ideal for heavy bag workouts, sparring, and mitt work.